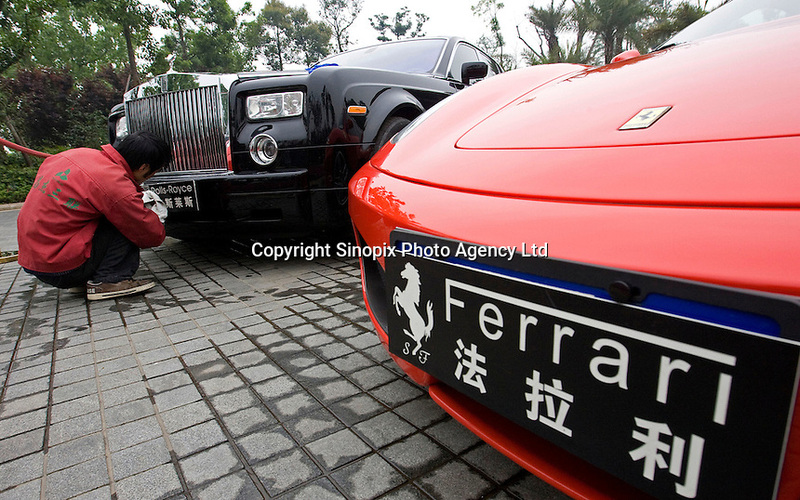 A service worker is cleaning these limonsines which are owned by Mr Yang, the owner of the 'Grand Hill International Community'. This community is a luxury property development in Jintang, which is about an hour's ride from Chengdu, China. .